Well I’m all for getting out of the EU. In fact I think it can only be the prime object of all British political effort and endeavour. Everything else is secondary. Except, if we were out, just who would run the UK government? If you think our political class are capable you must be off your jolly old rocker. We would need a new constitution to protect the people from government, and a whole new democratic way of government. We could start from the Harrogate Agenda. Where else? The sort of people who crave power are not much good at anything except pursuit of power. If Britain wrenches free from the EU but retains ‘D’ MOCK CRASS Y? we will go down to factional rioting in a multicultural police-state. If we are subsumed into the EU, we will go down to factional rioting in a multicultural police-state. Good ‘ere innit. Where else? The Swiss political model. I don’t think much of cuckoo clocks, but their democracy is a model for the Western world. I have worked in close proximity to thee Swiss. The word ‘cuckoo’ certainly popped into consciousness from time to time. Do you think it would help if Britain were an isolated nation with an unscrupulous attitude to money? Oh – hang on a minute . . .
We are talking democratic government here! Nothing else, not money, not morals. Well said AM – I would support your last paragraph and the local paper’s web sites are marvellous opportunities to spread the word. 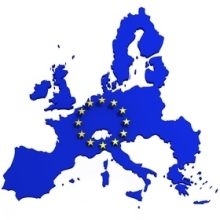 Any post in the comments section will attract the EU orchestrated Orcs – my advice is take a deep breath, refer to AM’s and other knowledgeable EU-sceptic blogs for information, make sure of your facts, lay out a couple of paragraphs, and post. To wj- I agree. It is a useful way to do a little bit for the cause. I have done the same myself but have only ever had one reply, which was in support! Thank you AM for another fine article. When we joined the “Common Market” in 1973, we were not joining a free- trade area. Some of those who voted ‘yes’ to remaining in the EEC in the 1975 referendum complain now that the EU is not what they voted for, in the manner of a wife complaining that her husband is not the man she married. While the wife may have a point – her charming fiancé may have turned into a slobbish husband – the disgruntled voter who wanted only free trade does not. The truth was always there (“ever closer union”), in the large print of the Treaty Of Rome, although it was not pointed out in 1975. Why are the Tories et al trying to enhance the power of those who will render them impotent? Do they hope to be part of the ‘cracy? Fat chance. As previously posted: I suggest those drawn to the exercise of power over people, also tend to fawn on individuals of greater power. When Tony was sweeping all before him, in little UK, he went to big America and was seen adoring Dubya (King of the World) to the point of aping his body language. I view it as symptomatic of a juvenile mentality, locked in unmet need. In our ‘culture’, those of wisdom and quiescence (any left?) are not called upon to steward the nation. After all the time and opportunity, I’d say it was ‘dishonest’ at the Parliamentary level, and too stupid at the party tribal level. It’s interesting looking at replies to very direct questions on the blogs. Not only Redwood. Carswell and the usual evasive hangers-on are equally guilty. Redwood continues to peddle the notion that Cameron will respect an ‘out’ vote with actual withdrawal. If you challenge Redwood (or Carswell etc…) with an actual attributable public comment from Cameron *which has not already been specifically disqualified with a preceding weasel caveat* that he will action an ‘out’ vote, answer comes there none. Also watch out for ‘well, as far as I’m concerned’… It’s also a weasel caveat and has actual recent precedence. Refer back to the Clinton impeachment hearings and recall one odd retort he made to a question. ….’That depends on your definition of the word ‘is’…. he enquired. ‘As far as I’m concerned’…. is qualified on the definition of the singular individual. ‘I’. I can’t remember the specific occasion – it was either the Lord Rennard scandal, or the Cyril Smith affair, but Clegg was asked whether he was aware of the matter before it broke publically. When it later was proven he had been made aware, he stated something to the effect of ‘I was aware as Deputy Prime Minister, but had not been officially informed as LibDem Party leader.’ Astonishingly, the media let him get away with it. Where an EU referendum is concerned, if Cameron prefixes an apparently unambiguous answer with ‘as far as I’m concerned’, you will find after the event horizon beyond the Referendum, that ‘I’ meant ‘David Cameron, private citizen’ and not ‘David Cameron, Prime Minister’ or ‘David Cameron, leader of his Cabinet’. Thanks for that BF. I knew it was one or t’other. re Pogle’s Woodsman 10.40 am. Rare erudition and exposition. Do you find few really know (or care) what you are saying? In passing, you must surely be aware that The Westminster Paradigm is a self-perpetuating corruption, with trickle down to all walks of life. I reckon we need two revolutions: Awareness and Demolition (V for Vendetta). Barrie Singleton, many respects and thanks for your comments. I have to be careful on the example I’ve given above. If what I said there did not have a fairly recent and pertinent precedent, I’d sound like a ranting nutter to the careless ear. In general, whilst this blog and its peers will absorb the concept of what I’ve said with studied consideration, it’s not the kind of comment I’d bother highlighting elsewhere. No. People wouldn’t really take in what I was saying because on the general newspaper forums, the majority of the contributing matter is unthinking and tribal – so the notion I was demonstrating to the Conservative tribe that they were permitting themselves to be duped would not be welcome, and would not be heeded. In general I think we’re getting somewhere but the speed of progress is being matched by the withdrawal of democracy by that same political tribal body. Whilst via the internet we can unambiguously prove when politicians have lied to us (even when, in the recent Conservative case, they clumsily attempt to supress their back-catalogue of public speeches) the current popular posture is the suppression of intent. Not even wishing to hide behind ‘manifesto commitments are not subject to legitimate expectation’ any longer (a political ruling which will prove the gift that keeps on giving) you have the example of Miliband who has asserted he will ‘under-promise and over-deliver’. In other words, don’t even bother making up a programme that people will remind you of in eight months time. As the Psychedelic Furs sang ‘You can never win or lose if you don’t run the race’. If you lie by silence, or by omission, nobody can gainsay you. And sadly, the tribalists will happily lap that up. I’ll ‘go’ with your constrained optimism, if I may, Woodsman. I am struggling with both central and local government over matters of proven fact (LiarFlyer 2010 and bus-lane scam 2011/12). Westminster is massively defended (MPs have no duty to constituent and then some.) and bus-lane challenge is CIVIL court, even though Council behaviour is ‘criminal’ in every sense. “If you lie by silence, or by omission, nobody can gainsay you.” Nice!